The initial impetus for adult bar/bat mitzvah came from men who, having missed the ceremony as adolescents, felt somehow incomplete as Jews. Adult Bar/Bat Mitzvah celebrations affirm the desire of adults to recommit to their Jewish lives anew. By contrast, many 12 and 13 year olds, once they attain the age and become a Bar/Bat mitzvah see it as a graduation ceremony as opposed to a new beginning. Adult bar/bat mitzvah is a contemporary adaptation of a well-established Jewish ritual of early adolescence that became common in the late Middle Ages. This new form developed as a local practice rather than at the initiative of any of the Jewish movements, and it spread because of its popularity. This feeling of having missed something, however, has no basis in Jewish tradition, as a youth becomes bar mitzvah at age 13 with or without a ceremony. Yet rabbis welcomed men who came in search of a ritual confirmation of their Jewish identities. They created opportunities for these men to study and applied the name “bar mitzvah” metaphorically to the adult ritual. Rabbi Albert Axelrad at Brandeis University held the first “belated” bar and bat mitzvah ceremonies in the early 1970s. His approach became well known and was a source of encouragement to individuals and rabbis in all branches of Judaism. In those settings where the movement for gender equality in Judaism had been successful, women were welcomed. Adult bat mitzvah developed at the same time that women were becoming rabbis and cantors and taking a more active role in the synagogue service. Many women have responded to this new ritual, using it as a way to develop the skills to be equal participants in the synagogue. As with the adolescent ceremonies, adult bar/bat mitzvah means more than simply being called for an aliyah to the Torah and reciting the appropriate blessings. It also requires reading from the Torah and chanting the haftarah, the prophetic portion. But the prerequisite for these tasks, mastering the phonetics of the Hebrew language, often feels like a major educational and psychological challenge for adults who are acutely conscious that the newly acquired Hebrew will be used in a public ritual before the congregation. Adult bar/bat mitzvah, however, involves more than learning ritual skills. It is also about Jewish identification. During the period of preparation, students explore the Torah and its place in Judaism, the nature of the siddur (prayerbook), the format of the synagogue service, and the meaning that Judaism has for them. Beyond this focus on Torah and worship, adult bar/bat mitzvah preparation typically includes study of the basic ideas and practices of Jewish life. One part of the ceremony that takes on special meaning for adults is the preparation of a d’var Torah, a commentary on the weekly Torah portion. 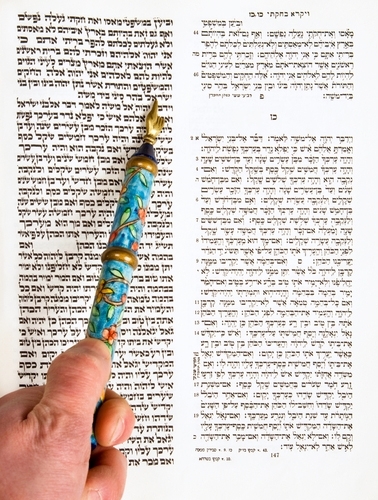 The d’var Torah often serves as an opportunity for these adults to integrate what they have learned into personal statements about Torah and what it means in their lives. Adult bar mitzvah preparation is clearly more than adult education. It is also preparation for a public ritual act that makes a statement about choice and commitment. The knowledge gained has a social purpose. It is the knowledge that is shared among Jews, enabling them to stand before a congregation and participate in ritual. The knowledge gained through adult bar/bat mitzvah preparation is also sacred knowledge, giving meaning to all synagogue services in which the adult bar/bat mitzvahs will participate and to their personal lives as Jews. Individual men and women still approach rabbis on a personal basis, but many congregations have instituted formal group ceremonies of adult bar/bat mitzvah. Preparation for the group ceremony, which can take up to 18 months, and the group ceremony itself, add depth to the experience for many involved. Many paths may lead individuals to seek an adult bar/bat mitzvah, and members of the group often appreciate their own motivations better through understanding others’ reasons. Group members also help each other with tasks and with the emotional work involved in preparing for the ritual. The adult bar/bat mitzvah ritual is a ritual of identification with Judaism and with a social group–the Jewish people. Preparing for adult bar/bat mitzvah in a group can be a powerful way of living the identification that the ritual dramatizes. Kerry M. Olitzky and Ronald H. Isaacs, Rediscovering Judaism: Bar and Bat Mitzvah for Adults. (KTAV, 1997).